Aspen4Sale is making strides in the Aspen market this year, and we are excited to announce that Pat has sold more than $50 million in real estate so far in 2015!!! And that’s something to celebrate! As you can see from the list below, Pat has represented both the buyer and seller in a third of her transactions for 2015. Pat knows how to get the job done and doesn’t wait around for a buyer and uses her vast network to find the perfect client for your home. 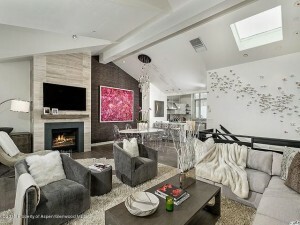 Visit www.Aspen4Sale.com to see our Current Listings. With several more properties in the pipeline, we are looking forward to a strong end of year! Stay tuned for more listing and sales! Aspen’s natural beauty is second to none and while Labor Day marks the season’s end, for many it signals the start of Colorado’s famous Indian Summers, another reason to get out and enjoy everything Aspen has to offer. It’s hard not to get a great view of the ever-changing colors as they dance along the mountainsides. Here are a few of my favorite ways to see the fall colors. Fall Helicopter Tour- take advantage of the blue mile high skys for unparalleled views of Aspen Snowmass Wilderness, Independence Pass, Ashcroft, Maroon Bells and every mountain top in between. Alpine Aviation is ready to take you to the sky, with amazing local based guides, where all the hidden gems are. Alpine Aviation has easy access to both Aspen and Glenwood airports. Hot Air Balloon Ride- Nestled in the basket of a hot air balloon skipping over the autumn mountaintops is pure magic. It’s easy to picture your self in a hot air balloon shorty before sunrise with the autumn colors making the valley below glow with gold—feel the peace and serenity as you float effortlessly over the Elk Mountain Range of the Aspen and Snowmass areas, Above It All Balloon Company has you covered with over 30 years in the Balloon business. Horse Back Riding- Explore the beautiful changing colors as many of Aspen settlers did; on horse back. Maroon Bells Guides and Outfitter offer hourly, daily, lunch, dinner, and over night rides around Maroon Bells, Pyramid Peak, and Maroon Creek. Enjoying a relaxing ride through thick Aspen’s, glowing in autumn colors, it’s the perfect cowboy way to explore the most gorgeous countryside in the west. 4-Wheeling Adventures- for those of us who know they have to do a little more traveling to get to some of the pristine, remote, exquisite place , a 4-Wheeling Blazing Adventure Tour is a delightful way to get away from it all. Join some of Aspen’s friendly and knowledgeable guides while discovering some of the most picturesque places in the valley on our Scenic and Historic Driving Tour. Being immersed in the fall foliage, aroma, scenery, and history is an experience you will never forget! Cycle though the colors- Biking around town and on the many bike trails Aspen has to offer is a great way to experience the colors. Aspen’s bike trails system is vast, to say the least, ranging from expert to moderate trails. We love the ease and convince of Rio Grande Trail, but our favorite is the scenic East of Aspen Trail, this easy dirt trail is accessible from town, and parallels the Roaring Fork River Southeast of Aspen for over 3 miles. Bring a picnic and enjoy the beautiful colors and wildlife. Aspen Bike Rentals, as well as many others around town, offers hourly, half and full day rates. Don’t have a helicopter, a hot air balloon, a horse, a 4×4, or a bike? Go for a hike! By now you should know that Aspen has hundreds of miles of trials! Cathedral Lake, American Lake, Hunter Creek and Crater Lake are just a few of the wonderful hikes to enjoy nature’s show. Rio Grande Trail, Hunter Creek, Smuggler Trail, Sunnyside Trail and Ute Trail are easily accessed from town. But a quick drive in any direction will take you to countless other trails. Don’t understand maps, don’t worry, all of Aspen’s hiking trails can be access through the free app, called Pitkin Outside. With so many ways to get out and see the changing colors, we don’t care what you do, just as long as you get out and experience the fall colors in Aspen!!!! It’s not only important to understand the housing market you are looking to buy into, but it’s just as imporatant to find an agent who has their ear to the groundand a network you can count on; Pat has that ear and has the network of Sotheby’s International Reality in her back pocket! With weekly private showeings to the most exclusive and newest listings in Aspen and the surrounding areas, she truly is the first to know before a listing even hits the market and creates a full Comparable Market Anaylsis for each listing. Which in turn can be one of the greaest investments you make when buying a luxury home. 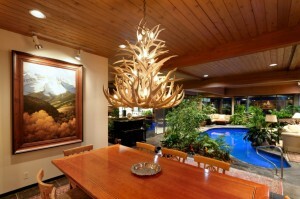 We have put together a list of the most recent listings in Aspen. Which on will you buy? PERMITS RECEIVED! CONSTUCTION COMMENCES 9/15! FINISHED PRODUCT TO BE DELIVERED BY MARCH 2017. Where it all began! Located at the base of Aspen mountain and adjacent to the prized Lift 1A, OneAspen is a highly anticipated offering and the last of its kind. The collection of fourteen mountainside residence is as close to recreation paradise as it is close to the downtown heartbeat. 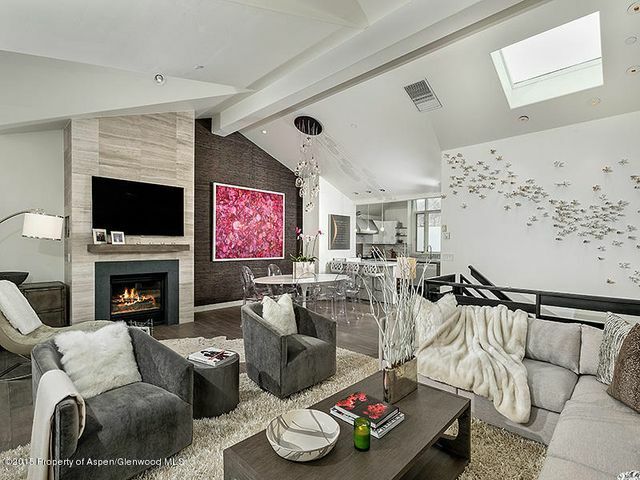 With mondern lines, spacous layouts, coveted outdoor living space, 2 car garage and just under 5,000 square feet, it might just be the best Aspen address yet. Starwood’s Garden of Eden! Enjoy a touch of the Tropic in the Rocky Mountains. Savor Starwood’s best panoramic views from Highlands to Mount Sopris from the 3.83 acers of rolling green grass and wilderness. Magical sunsets appear over Mount Sopris, Capital Peak and Mount Daly from the four bedrooms, and four and half bath, 6,350 square foot Bill Poss designed contemporary home. A cascading waterfall flows from a custom rock Jacuzzi into the “blue grotto” indoor pool. Glass slider oper from the pool area to a front pation and a lush green grass yard, embracing the outdoors, and ideal enteraining venue. A wood-burning fireplace creates a warm ambiance in the great room. The formal dining area with artwork built-ins and two serving buffets overlooks the great room. In the heart of the West End…533 W. Hallam is an authentic Victorian home built in the 1800’s and is situated on a 6,000 sq ft corner lot. Its location is perfact: just out of the chaotic downtown core, but still within walking distance. The home can be lived in as-is or remodeled to your taste. With approval from the Historic Perservation Commission, the lot allow for up to 3,740 sp ft above grade + garage and below grade space. A true jewel in Aspen’s best neighborhood. A breathtaking mountain home only minutes from Aspen core. This multi-level home is located in a peacefull and private neighborhood. Fully renovated with a contemporary flair, the living spaces have been throughtfully designed to capture and abundance of natural light and private mountains view. With an oversize garage that could accommodate 4 cars, mudroom, laudry room, and plenty of storage. Open kitchen style with granite countertops, extra large island, and custome Alder cabinets. The kitchen is shared with the main living room, which has high vaulted ceilings, a fireplace and Aspen mountains views. On the same floor is a guest wuite, which has a steam shower and wrap around porch. Complete with large office area and an oversized dinging space. To be completed Spring of 2017. New, contemporary home on 3.3 acers with a stream and pond. Very private! Across from North Star Natur Perserve and the Roaring Fork River, walk home from the take out, close to town with a country feel. Walk to town and the Nature Preserve, get a head start on your friends biking to Independence Pass. Poss Architects + Planning, Iglehard Construction. Contemporary, light-filled, great room with vaulted veiling, large fireplave and spectacular views of Aspen mountain, gondola and Red Mountain. Located on a peacefull cul-de-sac in Aspen’s Central core with 2 south-facing balconies plus a large patio with a private hot tub. An abundance of natural light throught out this 3-level town home, it is truly a cut above all others. Enormous master suite with fire place, large walk-in closet and a very large master bath. With 3 additional bedroom, a 2-car carport and many other great features, this is one of the best properties on the market in Aspen’s central core. 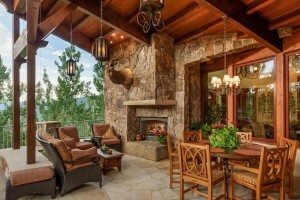 This Five Trees Estate combines the majesty of Tuscan Style with Colorado materials & design. 170 Falcon is a Tim Hagman Architects masterpiece. The home’s design starts with a Tuscan village influance by joining the common areas and private rooms with stone archways, large wooden beams and soaring valted ceilings. The property enjoys exceptional privacy and western mountain views. Relaz on the magnificent stone patio amid your waterfall and breathtaking views of the Tiehack Cliffs. With almost 9,000 sq. 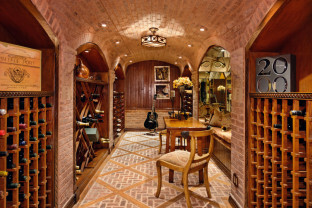 ft. of living space, the home also includes a wine tating room, media room, club room and self-contained office-suite. Located just minutes from Aspen Airport, skiing, and downtown Aspen core. Pat offers keen insight regarding Aspen real estate market with the facts that back it up. She know what it takes to properly analyze the market; finding the best property for you, negotiating the best price and managing the contract througha a smooth closing. You will also appreciate her expertise in positioning, pricing, staging, and marketing your current property for an effective sale. With Pat, you’ll benefit from her perspective, attention to detail, resources and insight to current opportunities in the real estate market. She is 100% dedicated, ethical, hard working and experienced in all aspects of the real estabe business. Coupled with the exceptional global marketing pwoer of Aspen Snowmass Sotheby’s International Realty, you will maximize your success when working with this top-producing broker. The number one reason why so many want an Aspen home is the lifestyle; they’re buying a dream, and I love selling that dream. 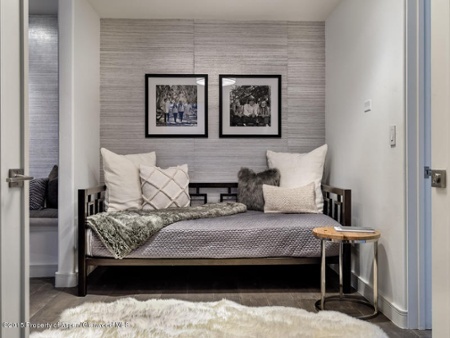 Staging a home to sell is critical to your success, especially in luxury real estate markets like Aspen. I execute every new listing with certain key strategies an proper staging is the first and sometimes only impression you have with a potential buyer is the difference between selling a listing or watching DOM (“days on market”) climb. It’s common for homes to be very personalized, many owners have taken years to decorate and customize their property. It’s very uncomfortable for an owner to want to undo everything that has made their property their home. However, providing a blank canvas for a property gives the buyer a chance to paint their own memories in their new home. We want potential buyers to envision living in this home. After years of successfully selling luxury real estate from Beverly Hills to Aspen, I have compiled a few vital tips to staging high-end real estate. Original artwork: Hanging original artwork in various’ location can give your home a world-class luxury feeling that will inspire potential buyer to imagine where they would hang their art collections. Often times these pieces of art can be rented directly from the gallery or artist. Spotless garage: It’s safe to say that many luxury homebuyers are also owner of luxury car(s). To many luxury homebuyers the garage is just as important as the rest of the house, serving as their showroom to house their own luxury cars. Fabric, finishes, linens: Luxury bedding, plush towels and rich fabrics will give a warm and inviting feeling to enhance the space. By using fabrics, finishes and materials to your advantage, creating an additional layer. Incorporate culture: It is important for the home to have a connection to an elevated culture. This can easily be done with display original artwork, musical instruments, artifacts or Aspen historic photos and relics. Highlighting the lifestyle: Aspen lifestyle second to none and is most likely the reason to why a potential homebuyer is buying in Aspen; hiking trails just steps away, local venues’ with world wide musicians that you won’t want to miss, and over 70 resturants just around the corner. Highlighting the Aspen lifestyle in your home will give homebuyers the chance to envision their ski’s parked by the door, or their mountain bike on the porch. Fabrics, finishes, linens: Luxury bedding, plush towels and rich fabrics will give a warm and inviting feeling to enhance the space. By using fabrics, finishes and materials to your advantage, you’re creating an additional layer of luxury. Non-matching furniture: Most luxury hones often times are professionally decorated, while furniture and accessories have a common thread, there is no need for matching furniture sets. These homes use texture, color and materials to convey luxury that will make you want to curl up by the fire with a book after a long day of skiing or hiking. Outdoor spaces and views: If you’re anywhere in Aspen or Snowmass and don’t see a majestic view, you must be sleeping. It’s no secret that adding an outdoor space, and easily doubles your living area. Using the season to your advantage when showing, have your outside fire pit on and crackling and the hot tub should be warm and ready. 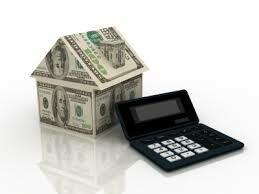 If serious offers are your goal, let me help you to carve out a budget to sell the buyer’s dream! A small investment in your staging will be paid back multifold. The goal is a full-ask offer, or even better, a bidding war between multiple buyers who envision your property as their Aspen dream home. Aspen, Colorado is a very desirable real estate market. When competition is high, your choice of a real estate agent can make all the difference in you getting the property that you desire. To increase your chances of finding the perfect property, seek the assistance of an experienced real estate agent. If you need assistance finding the perfect property in the Aspen Snowmass area, I am here for you. In the heart of London in 1744, an exceptional auction house was born, built on a revered tradition of uniting collectors with world-class works of art and marketing the world’s most cherished possessions, resulting in many world record purchases. Sotheby’s still provides authentic knowledge comparable to none, founded on the same commitment to exceptional service the Sotheby’s International Realty brand was created in 1976 and has become known around the world for distinctive properties it represents. Sotheby’s International Realty network is designed to connect the finest independent real estate companies to the most prestigious properties in the world. With over 700 offices, in 52 countries and territories worldwide; affiliated brokers and sales professionals handled 24 percent more transaction in 2013 than 2012 – nearly three times better than the 9.2 percent gain in home sales sides reported for the overall market by the National Association of Realtors. Pat Marquis, CEO of Aspen4Sale is one of Aspen Snowmass Sotheby’s International Realty’s top agents in the Aspen-Snowmass area. Pat has been helping clients find the perfect fit for their real estate needs for over 30 years. In addition to her extensive experience in the industry, Pat is also a Master Certified Negotiation Expert and Certified International Property Specialist. She has developed, assembled, brokered, operated, and renovated many commercial, residential, multi-family residential, and hotel properties and is able to assist you in finding a property anywhere in the world. Pat offers keen insight regarding Aspen real estate market with the facts that back it up. She knows what it takes to properly analyze the market; finding the best property for you, negotiating the best price and managing the contract through a smooth closing. You will also appreciate her expertise in positioning, pricing, staging, and marketing your current property for an effective sale. Aspen4Sale specializes in real estate and marketing. Pat understands the vital role marketing plays in the sale of any property. Just as there is a shoe for every foot, there is a buyer for every property. Aspen4Sale realizes that your buyer may not be local, as most homes bought in Aspen are usually 2nd or 3rd residences and the best way to target buyers for your home must be presented on a global level. It’s our job to make sure that these buyers are targeted to your property, ensuring your property gets the necessary exposure, targeted to a defined key audience; with daily analytics to make sure no lead goes unchecked on the international playing field. With Pat, you’ll benefit from her perspective, attention to detail, resources and insight into current opportunities in the real estate market. She is 100% dedicated, ethical, hard working and experienced in all aspects of the real estate business. Coupled with the exceptional global marketing power of Aspen Snowmass Sotheby’s International Realty, you will maximize your success when working with this top-producing broker. Numerous ultra-high net-worth (UHNW) individuals have utilized real estate as an investment vehicle to increase their wealth, but these properties continue to have a primary purpose: first and foremost, they serve as residences. Besides the obvious need to own a property in one’s primary business location, the time spent in other locations, whether for leisure or business purposes, may make the ownership of a secondary residence a practical and financially responsible course of action. 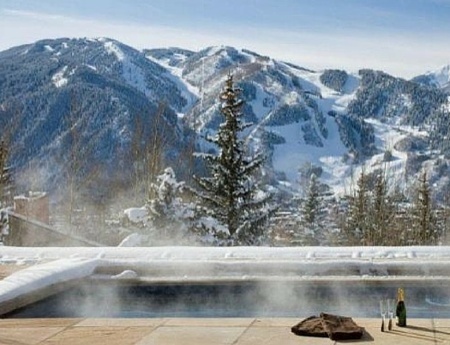 Aspen is one of the most exclusive places in the United States. When buying a home in Aspen, it’s not just any home, in any city. Aspen is small town living, with an elevated culture and a lifestyle that is second to none. Aspen real estate market is fast; with low inventory and high demand, it’s no surprise why the elite are obsessed with Aspen. Here are just a few reasons why Aspen makes the perfect location for your next home. 1. In 2014 Aspen had the 2nd highest home sale price increase of 16%, second only to New York City with an 18.8% increase according to Knight Frank’s Prime International Residential Index. The 2015 (April 15- Jul 15) medium sale price for a Aspen home was $1.2 million and home appreciation has increased 10% since 2013 according to Trulia stats. 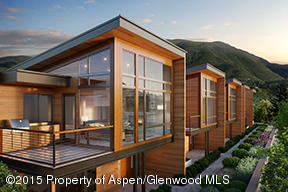 Making Aspen one of the most exclusive safe havens for your real estate investment. 2. Great Schools!!! Aspen High School is ranked as the #1 in Colorado and 59th in the Nation according to US News & World Report. Aspen High has fewer than 600 high school students with 39 teachers, and the average class size of 15; it has the feeling of a private school. Teachers, staff and coaches are active members of the community providing a variety of sports and clubs to choose from. Students even have access to their own chair lift to Aspen Highlands during the ski season. 3. Aspen is Green! As of today the city’s electric system uses over 75% renewable energy; 51% from Hydroelectric, 27% from Wind and Solar has reduced the carbon footprint by an estimated 9,215,000 lbs. 4. A progressive local economy, plus stable summer and winter tourism, makes vacation rental a viable option. Business just keeps getting better for retail shops; Aspen is experiencing the busiest summer ever according to the most recent Aspen Times article. 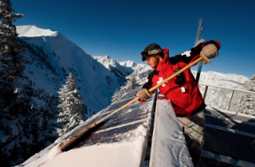 Aspen’s 4.5% unemployment rate is 2% lower than the national average, and 6% in business growth soars Aspen’s economy as high as the mountaintops. 5. NATURE!! Over 110,000 acres dedicated to open space in and around Aspen, finding breathtaking vistas just a blink away. 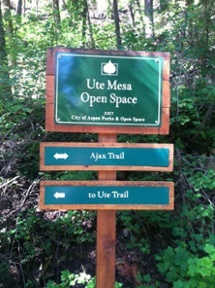 In 2001 Aspen voters approved funding for the acquisition of open space. 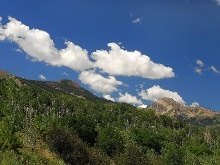 Pitkin County Open Space is dedicated to preserving, protecting, and enhancing Aspen’s natural surrounds including wetlands, shrub lands, and forested areas. As with most transplants to Aspen, we came for the winter and stayed for the summer. 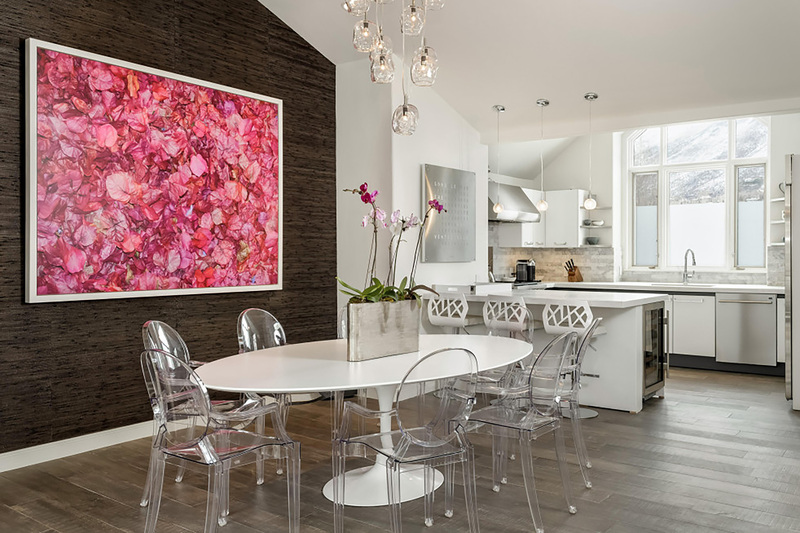 Determining the right price to list your property for is a balance between art and science, which is why selecting the proper Aspen real estate agent to sell your home is such an important decision. Your listing agent needs to have a clear, concise, organized, and thoughtful strategy if you want to list your real estate at a price to sell. 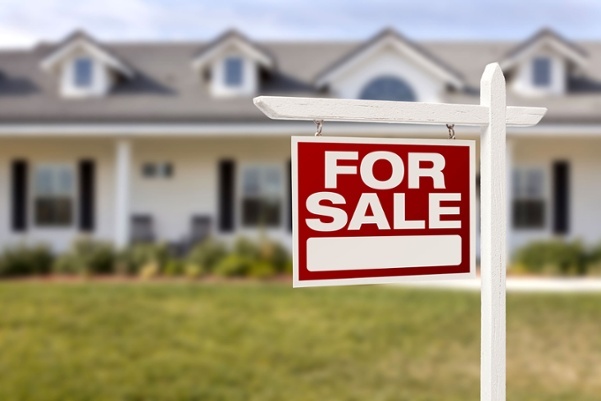 Are you interested in how to price real estate to sell? Read more for a few in-depth examples of how professional Realtors go about deciding a for-sale price on real estate in Aspen, and beyond. 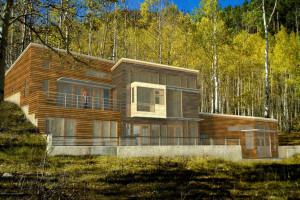 All Aspen real estate will experience buzz when the property first hits the market. Buzz comes in the form of calls from buyers agents, calls from homeowners as a result of the for-sale sign, visits and inquiries by Realtors during the broker’s tour (open house for Realtors), among other ways.A properly priced home will continue to see buzz until offers start rolling in. It’s important for your real estate agent to monitor the buzz surrounding your listing because if the interest and demand lessens you might want to consider a price reduction to reinvigorate the buzz. Generally, I’ve found that a property priced too high for market value will see this buzz dissipate within a week.And, offers usually come as long as the buzz continues. As a seller, it is important to work with your real estate agent to determine your home’s market value. Then, list the property for a price that will strategically generate interest and buzz (normally, a bit below market value). This is a proven strategy that generates qualified offers for my sellers. Pricing a property to satisfy a seller’s ego is a deathstroke for selling real estate. It’s the truth.In the real estate industry, we call agents who acquiesce to a seller’s ego and price a listing well above market value “Highballers.” A highballer’s inventory usually has listings that sit on the market indefinitely. These types of properties only sell when the seller eventually realizes that a price reduction is necessary to resonate with qualified and interested buyers. Pricing real estate to sell has nothing to do with how much the property is worth. I’ve heard of sellers arguing with real estate agents about listing price because of the price the homeowner bought the house for. This is not a solid starting point for pricing discussions.Just because a home was purchased for $3,000,000 does not mean it can be listed for the same or more. Real estate goes through cycles, and market values must dictate sales prices if sellers are motivated to sell. How much a seller initially bought the property for. How many price reductions have already occurred. How much the seller wants to net (net proceeds) from the property. (In a depreciating market) How much the seller has spent on upgrades on the property. Why the seller is selling (death, divorce, court order, all of these things do not create value). How much time the seller has spent working on the property. Raising the price and calling it an opportunity lost for potential buyers. When your home hits the Aspen real estate market you want to be sure that you get as much value out of your property as possible. So, here are a handful of tips from a professional real estate agent in Aspen that will add value to your home. Buyers love these additions. These are fairly easy and cost-effective changes for sellers to make that will boost sales prices. Plus, these five things will increase your chances of a successful sale. 1. Invest In New Kitchen Appliances: Whenever I walk buyers through a property they always gravitate towards the kitchen first. As they say, first impressions matter; so, consider updating your kitchen to leave a lasting impression on buyers. This cost-effective real estate tip will payoff in the long run, resulting in higher offers. 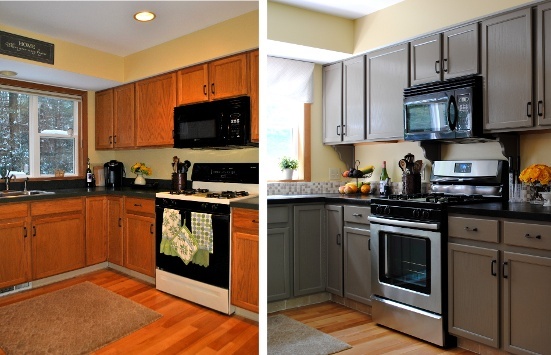 An entire kitchen remodel is not needed to leave a memorable mark on buyers, but updating appliances, replacing cabinet doors, and swapping out old hardware for new hardware are affordable ways for sellers to make a lasting impact on buyers. 2. Buyers Love Updated Bathroom Fixtures: Little tweaks and updates to your bathrooms will go a long way with buyers. Think about updating bathroom fixtures like your sink, vanity, and faucet. Simple swap-outs will give a dated bathroom style, and resonate with buyers. 3. Energy Saving Will Add Value: Without question, adding insulation to your home is the most inexpensive way to increase your value and add to your home’s energy saving. Think about it: Sellers love learning that heating and cooling will cost them 25% less in your home. I’ve see buyers who are willing to make above-ask offers on energy-efficient homes. 4. Focus On Storage & Organization: My most successful sellers understand: “Everything in it’s right place and a place for everything.” Spend time, energy, and resources on uncluttering your home. Why? The space will look bigger and cleaner. Buyers need to picture themselves, their family, and their possessions in your home. Adding creative storage options is also a plus that will result in added value to your property.